Soak Black gram & Fenugreek together in a separate bowl. Similarly soak Jowar / Sorghum millet in a separate bowl for minimum 6 hours. Later wash the ingredients and keep them ready to grind. First wet grind the Black gram until it becomes a fluffy and fine batter. It may take 10 to 12 minutes to grind. Then transfer this batter to another vessel. 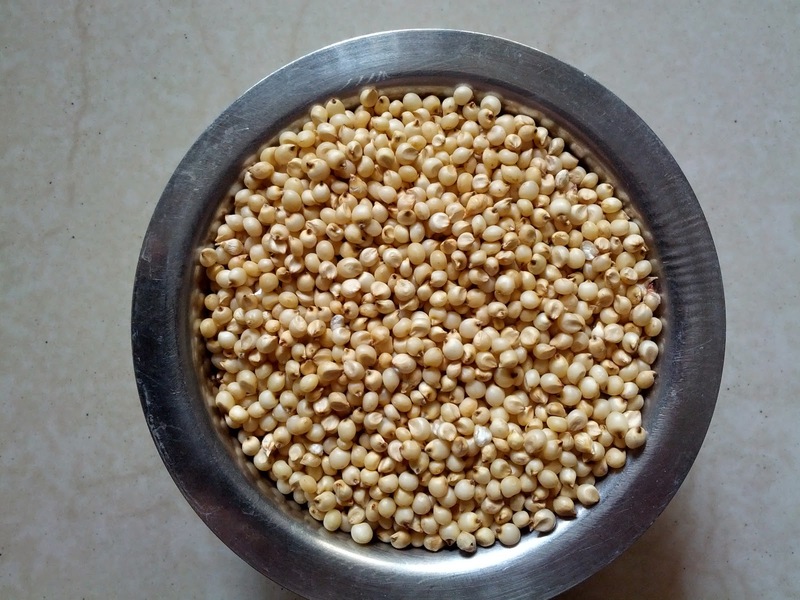 Now grind the Jowar millet with less quantity of water and make a fine batter. It may take around 8 minutes. Transfer the batter to the vessel. Add rock salt (not sea salt or NaCl) and mix Black gram and Jowar batter thoroughly. Close the lid and keep it aside for 8 hours. The batter is ready to make dosa when it is fermented. 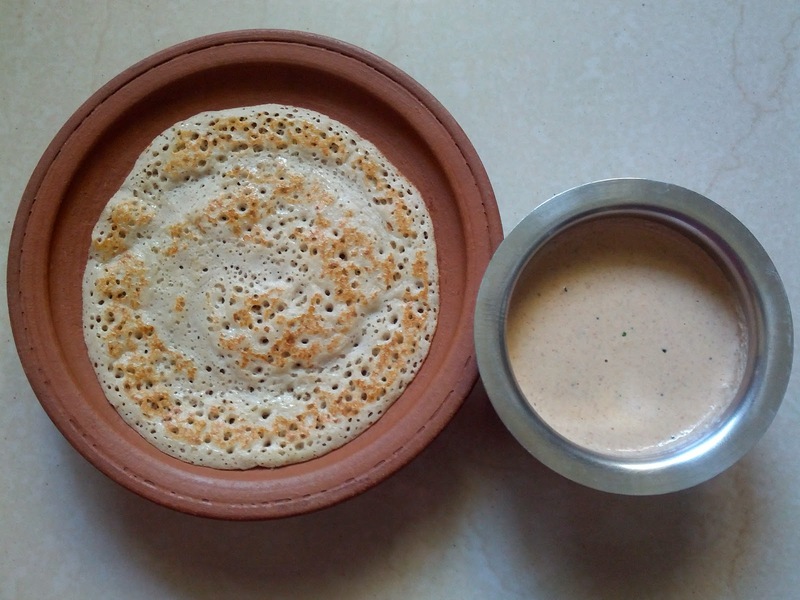 Make thick dosas (like Uthaapam) in Dosa tawa. Serve it with Groundnut chutney / any masala gravy / Tomato chutney. Pour only less quantity of water to grind. While making dosa, if you feel the batter is very thick, then you may add little water. If the batter becomes watery, dosa takes more time to cook. Also the inner surface remains very sticky. So please be careful while making batter.